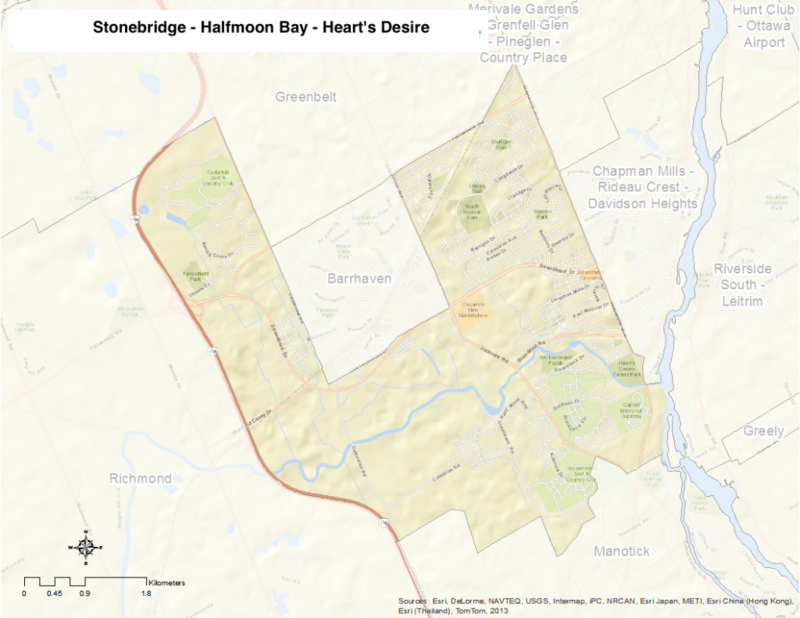 Stonebridge – Halfmoon Bay – Heart’s Desire is bounded by Fallowfield Road on the north, Bankfield Road on the south, and both Woodroffe Avenue and the Rideau River Branch on the east. Moodie, Barnsdale, Cedarview, Halley and Greenbank Roads lie to the west. The neighbourhood is part of greater Barrhaven and includes the communities of Stonebridge, Halfmoon Bay, Hearts Desire, Longfields, Highbury Park, Woodroffe Estates, Heritage Glen and Knollsbrook.